Last week, a post appeared in The Blaze.com titled A Story That Has To Be Told, about Gail and David Witt's struggle to complete their documentary, Forever Changed. Forever Changed which began production in 2010, details the brutal murders of Channon Christian and Christopher Newsom and the long road to justice for these victims. It's a great read and I highly recommend it. The documentary is expected to be completed by the end of 2013.
fell to her death on November 8th, 2000. I got out the door late but was able to make it to the 9th floor of the downtown Criminal Court Building before Dept. 107, Judge Lomeli's courtroom had opened. Brown's defense attorney Aron Laub and DDA Craig Hum who is prosecuting Brown for the third time are in the hallway. Brown's wife Patty is also there wearing a navy top, navy pants and what look like black Mary Jane's on her feet. A few minutes after I arrive the bailiff opens the courtroom. It's the same deputy who has been there the last few times, a Sargent, who was one of the deputies during the first Spector trial. Inside Dept. 107, It's clear that Judge Lomeli currently has a case with two separate juries at the same time. The first two rows of the gallery seating are roped off. There are juror numbers taped to the bench seat backs and spiral notebooks with juror numbers written on them. I don't know what the case is, but it appears they are trying two defendants charged in the same case at the same time with two different juries. Hum and Laub informally discuss one of Hum's cases that's also in front of Judge Lomeli. That's the case of the University of California, Los Angeles (UCLA) Chemistry professor, Patrick Harran, who is charged with a felony in the death of Sheharbano “Sheri” Sangji, 23. Sangji was a staff research assistant who died on December 29th, 2008, as a result of a chemical fire during an experiment she conducted in a lab Harran supervised. The Harran case is a complicated case about who is liable for Sangji's death. There are slight variations in wording between the California Labor Code and Cal OSHA, regarding UCLA employer/supervisor responsibilities and liability in the event of a death. I believe the preliminary hearing was in April of this year, when the LA Times reported Harran was ordered to stand trial for Sangji's death. Apparently, there are several attorney's working on the defense case and UCLA is footing the bill. A pretty black female bailiff I've seen before enters Dept. 107. She and the other bailiff secure their weapons before entering the holding area. Laub goes back to the holding area to speak to his client. A third bailiff enters for a bit then leaves. When the bailiffs come back out, Patty Brown gets up from her seat to speak to the bailiff. She's asking about purchasing a court transcript from the last hearing on July 11th. The bailiff calls over the court reporter who tells her she will prepare a bill to let her know how much it will cost. While Laub is visiting with his client, I hear snatches of the two deputies talking about an unusual situation with a defendant. From what little I'm overhearing, it appears that after a defendant in custody was handcuffed to a chair in another courtroom, he "went crazy." There were several deputies involved in subduing him. Then another case where a defendant was behaving badly. A third deputy enters the court room and sits in the gallery near the bailiff's desk. From what I overhear, it appears he has a cold. Laub enters the courtroom from the jail area. Brown is brought out a few seconds behind him. His hair has been cut short, but he still has the ZZ Top like beard, halfway down his chest. Brown looks over at his wife in the gallery and tries to mouth something to her. Another deputy enters Dept. 107. Judge Lomeli takes the bench but the court reporter isn't at her desk. She quickly hurries over while Judge Lomeli calls the case to order. Judge Lomeli asks counsel to state their appearances for the record. Laub is here with his client Mr. Brown; DDA Hum is here for the people. Dr. Knapke's report on Brown's evaluation was due today but it hasn't been generated yet. Laub tells the court he's been in contact with Dr. Knapke. Five years ago when Dr. Knapke first evaluated Brown, at that time, no one had provided the doctor with any discovery. So Mr. Laub provided Dr. Knapke with the murder book. Laub suggested that they continue the hearing on September 20th. The report should be completed by then. Brown has apparently filed with the court a request to have the court turn over to him a copy of Laub's declaration. Judge Lomeli states he's not seen or received this filing. From the defense table, Brown looks over to his wife and motions to her. Laub tells the court he told Brown that he turned his statement over to Dr. Knapke, to let him decide whether or not to let Brown see it. Brown then speaks up and addresses the court directly. He asks the court for a copy of Laub's declaration. Judge Lomeli tells Brown he's not inclined at this time to let him see it. Brown states to the court, "I'd be going in there blind. I'd like to know what I'm up against." Laub tells the court he will discuss it with Dr. Knapke. Judge Lomeli tells Laub that he didn't see anything in there that would compromise confidentiality. I believe DDA Hum asks if the criminal proceedings are still suspended. Judge Lomeli confirms that they are. Judge Lomeli then advises Laub, that he might want to let his client see the document, otherwise, he might not cooperate with Dr. Knapke and all this will be for naught. Judge Lomeli comments to Brown that he got his hair cut. I believe Brown asks the court if he likes it and Judge Lomeli states he does. And that's it. Next hearing is September 20th at 8:30 AM. Where the case stands. The criminal proceedings are suspended until the defendant's competency is decided. It's my understanding that it would be an unusual situation for Judge Lomeli to rule Brown competent to stand trial, but not competent to defend himself. I'm not saying it's never happened, but my best guess is, it's an issue that could be grounds for appeal if he was prevented from representing himself. If Brown does make the fateful decision to represent himself, (if he's ruled competent to do so) then the clock starts all over. Just like in the Gargiulo case, Brown would get a court appointed investigator. Laub would be on standby by if at any point, Brown changes his mind and wants an attorney again. It's highly unlikely the court would appoint a different attorney for him. Gargiulo tried to get a new court appointed attorney and he failed. All the state's discovery must be turned over to Brown directly. Certain materials would be held back from him that he would not be allowed to have in the jail. (Witnesses contact information for certain; possibly images of Lauren, dead.) This would be a massive amount of material (from two trials no less) that Brown would have with him in his cell at Men's Central Jail. I can't imagine that would make his situation at the jail any better than it already is. (Brown apparently has filed several complaints about mistreatment while in custody. It requires a Sargent or above anytime he is moved from point A to point B.) I'm guessing that the jail would require that any discovery Brown has in his cell with him must be on yellow paper. This was the requirement of the jail in the Gargiulo case. Although Brown would get help from people in the jail (and his investigator) he would be up against one of the district attorney's most experienced litigators. More than one individual has told me that Hum is a brilliant attorney, who usually wins his cases. As I've seen in the Gargiulo case, if Brown tries to use the court to intervene in how he is treated at Men's Central Jail, I believe he will be disappointed. Judge Ohta has told Gargiulo -regarding several motions Gargiulo filed- that the court cannot order the jail to change their security procedures to accommodate his needs. 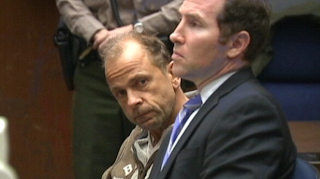 Gerhard Becker and former defense attorney Chad Lewin. After attending a pretrial hearing in the Kelly Soo Park case, I head down to the third floor of the Criminal Justice Center to Judge Michael Tynan's courtroom, Dept. 42. Tynan is in the middle of holding drug court so I take a seat in the gallery. During a break, there is a very interesting "off the record" conversation --about a newly appointed federal court judge, a kiss on the lips and someone being 'slipped the tongue' --but I won't repeat who said what about whom. I listen as Judge Tynan hands down rulings with compassion for the defendant's that come before him. "As soon as you said you didn't need Prozac anymore, I knew you were in trouble," the court tells one defendant. "You're a sick man. ... You have diabetes. You need medication; you can't do it on your own." Gerhard Becker, defense attorney Donald Re and Becker's former counsel Jay Gottfriedson attorney. I get the sense that Gottfriedson is also Becker's friend, but I'm not positive. Re is asked to approach the bench on an ex parte matter. The next drug court case is called. The defendant has a new charge, possession of a crack pipe. The defense counsel addresses his client, "You're not even supposed to be around drug users!" After this case is finished, there is some discussion among the staff in the well that 800 people were placed so far this year. 735 of those were pro bono placements for the court system. Two new defendants are called out. The defense states that they made multiple efforts to place these men but the only area that has beds at the moment is the LA Transition Center. Regarding one defendant, "This guy has nine priors. I'd like to get him into a more structured program." One of the main problems in trying to help drug and alcohol addicted defendants is finding programs with available beds. I note there is a box of chocolate truffles at the corner of the clerk's desk. Judge Tynan left the bench and raided the chocolates. Detective Greg Stearns enters Dept. 42 with a slightly sour expression on his face. He then rubs his hand over his face. Maybe he is coming off a long shift. The young casually dressed reporter who was here yesterday, enters and sits in the jury box with Matthew and myself. Judge Tynan asks if counsel are ready to proceed with the prelim. Frances Young is not here yet. I know she arrived at some point but it's not in my notes. DDA Sean Carney rubs his face with a Kleenex. We are ready to go on the record with the redirect of Mr. Bescos. DDA Carney goes over his report (I believe a post fire inspection/incident report) of violations at the residence. Bescos states that no one had ever called requesting an inspection of a fireplace. Bescos is asked about the steel column (main house structure) in the photos behind the 15 foot fire pit trough. He's then asked about the tiles that he remembers seeing in the general area. They were like samples of tile and stones laid out; as if they were going to chose what they were going to do. Bescos is asked about the electrical wiring in the middle or lower floors bathrooms. There was some issue with that. Re objects. Carney counters that it goes to the defendant's general course of conduct. Judge Tynan over rules the objection. Bescos states, "There were connections from high voltage to low voltage ... without a UL rated junction box." This was a violation of the electrical code. The box was a hazard. Bescos is asked about the gas key on the front lower drywall surface of the 15 foot trough. Bescos states that after the fire, he saw a key (inserted in the rod/valve) on the front of the fire box/pit. Bescos explains the chrome ring outside of the gas key, and that the chrome ring could be unscrewed. Re asks about notes in the body of the report that describe various violations that are related to the fire. One of those violations is about fire blocking. Re questions Bescos in detail about fire blocking, it's purpose and the lack there of above the fireplace. Re asks if the fire blocking is designed to stop fire from moving up or moving across. Someone states their understanding is that it's to prevent it from moving horizontally. Bescos clarifies that the report was written for the entire structure, (not just the fireplace). Judge Tynan asks if anyone wants to make this report an exhibit. Smiling, DDA Carney replies, "No." D Re: You had a discussion with Mr. Becker about using fire blocking. ... Insulation ... about fire blocking. ... Did you put that anywhere in your report? D Re: Did you discuss the question of the ... discussion with Mr. Becker about fire blocking to anyone else ... until you mentioned it to the district attorney? BB: I did not have that discussion with anyone else. D Re: Did you say to the district attorney, "That fireplace could have been there in, before September .... ? D Re: Did you or did you not inspect the fire stops on that top floor at any time? BB: I believe I did. D Re: Do you have any notes to show that you did? There's another question whether Bescos remembers speaking to the district attorney on a specific date. Bescos doesn't remember. D Re: During that conference, (do?) you remember saying that you never checked to see if any fire blocking had been installed? BB: I don't remember saying that. D Re: Did you lie to the district attorney? BB: You're asking me if I said that and I don't remember saying that. Looking over at Detective Stearns, he has his hand on his face in an unusual configuration. Re continues hammering the witness about the fire blocking and whether he inspected it or not. BB: We don't have the ability to inspect every stud (or every electrical outlet). ... The city only gives us 20 minutes. Bescos has no recollection of writing a correction of fire blocking. I believe Bescos states that Becker came up with the idea to use insulation as fire blocking. When they had the discussion about fire blocking, Bescos states he doesn't know what level he was standing on at the time. Re argues that the homeowner has the right to know if he did the proper inspection. This goes to the estoppel argument. Re continues to try to impeach the witness. Judge Tynan reads the building code. There is a strict liability whether or not a (certification) has been approved. Carney interjects that the (responsibility) is outlined in the building code. The homeowner and the builder is responsible. The LA City Department of Building and Safety is not building the house. They have limited resources. I believe Carney continues to argue the people's position that there was no entrapment by estoppel. "He has to have been given permission to violate the law... It only applies if he relied on information." Judge Tynan interrupts for a question of his own. Carney continues with his argument, regarding the construction of a fireplace out of combustible materials. "This defendant didn't rely on anything the inspector told him. ... Railings were taken out. .... (He) ignored warning by the manufacturer. ... He treated Building and Safety ... not (as something) he relied upon .... he treated them as an obstacle." Now Re is arguing the defense position. Judge Tynan finally rules on the issue. He feels that although the defense has effectively established the credibility issue (of the witness), he's asking counsel move onto a different issue. He tells counsel, "This is a prelim, not a trial. ... Move onto a different subject matter. .. So objection sustained." I have Judge Tynan announcing, "The prosecution is fully represented. Ms. Young has graced us with her presence." Re resumes his recross of Bescos. D Re: During the inspection, there were instances where you issued correction notices? BB: There were a variety of times where I issued a correction notice and he corrected it. The defense presents People's exhibit 11, the top floor, a "shelf part' of the fire pit area. Re is asking about a reciprocating saw and drywall and how it is cut. Re confronts Bescos that the. "...top of this structure is made of WonderBoard®?" BB: (WonderBoard) not as easy. You can still score it and snap it. Re asks if one would normally use a saw with this product and Bescos replies that it would depend on the type of blade and saw. There is a question about similar "display cases," in other homes and niches and measurements of an open space and the height off the ground of that space. D Re: Is it your experience people in houses in this area display their art one and a half feet off the ground? BB: I have no idea. Re asks Bescos to tell the court what he remember he saw. I believe then Re asks Bescos if was interviewed by the deputy district attorney and the fire department. Recross is over and redirect begins. Carney asks Bescos about Exhibit 51, a booklet titled: Code Check For California. Bescos is familiar with this book. SC: You talked about in prior testimony that Mr. Becker pulled out a code book ... for ... such as issues over fire blocking. Is this a similar type book? I believe Re tells the court he has no more questions and Carney confirms that. Judge Tynan replies (I believe in a joking manner), "I rarely hear that." Bescos is excused. Counsel then present argument over what the next witness can testify to. (I apologize readers. I have a note here, and I'm not sure who is speaking but I'm guessing it's DDA Carney. Sprocket.) "The jury or the court as you ... cannot have an understanding as to what is extreme negligence, unless they know the building code, the electrical code, (etc. ), ... all relevant for the understanding of standard of care. ... Requirements in the building code ... that a fireplace construction inside (a home) has to have a certain clearance for combustible materials." 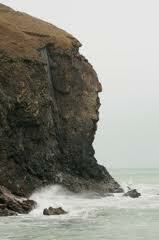 I have Re arguing, "A particular structure has to be six inches from that ... It's improper to have witness say that's a violation. ... I think he can establish standard of care but he can't make a judgement as to the violation of standard of care ... Not what the law is but the application of the law, Evidence Code 805 ..."
DDA Carney replies, "(It's) impossible to discuss the violations of statute without taking into (account) the totality." Judge Tynan responds, "(I'm) going to let the witness testify and he may have (an) opinion that's (?) illegal but that's not binding on me." SC: ... tell the court what it is your do. DF: Fireplace and hearth's product consultant. Fireplace investigations and fireplace inspections. Feb is self employed. He doesn't work for the government. Feb gives his very impressive CV. He has served on an arson investigation board of directors. He's investigated over 400 incidents for the origin and cause of fire. He teaches in this area as well as the private sector and publishes on the topic. He has a background in fireplace construction and inspection. He got into inspections in 1990 and has been doing inspections since then. He teaches in the area of inspections as well. He's testified as an expert at least 300 times. Feb states he is experienced with wood, gas, indoor and outdoor fire places. He estimates that as to the number of inspections he has performed is somewhere in the range of 18-20 thousand for mixed wood or gas fireplaces. I believe Judge Tynan asks him a question here. Feb has performed some private consulting as to design and some with cities. Some consulting has been on resale properties to assess systems. The 400 investigations, those would be with respect to a fire or some other type of injury. Feb answers "We," and Judge Tynan asks about that. Feb apologizes and tells the court that his wife works the office end of his business. SC: The basis, (of his work is to determine?) minimum compliance with building code and to determine safety of system? SC: And to determine if there are fire hazards? Feb will also inspect commercial ovens and hoods, all small appliances but he "focuses on fireplaces, chimneys and vents." The majority of his work involves investigation of residential fireplaces gone wrong. There is some commercial property work. Feb also has had specific training in (Pacesetters?) to understand building codes, not just "know them." Feb states that he also hold several inspector certifications. He has an extensive CV and is familiar with building codes and international building codes. Feb was retained by the prosecution to investigate a gas fire appliance at 1546 Viewsite Drive in Los Angeles County. He was provided with material to review including photos of the residence and police reports. He also reviewed a video of the actual firefighting operation. Feb also reviewed instructions from a company called HPC Hearth Products, based in Ohio, for a natural gas appliance HWI fireplace apparatus, also known as a "trough." People's exhibit 11, a photo of the trough instructions before the fire. Feb also reviewed photos of the 15 foot trough installed in the top floor. People's exhibit 19, a photo of the trough control box. The manufacturer's name on the product was Hearth Product Controls Co. For the trough, Feb reviewed the installation manual and warning tag and contacted Greg Steck, owner of the company, regarding his product. SC: After reviewing all those materials (did you form an?) opinion as to the construction of the 15' gas appliance on the top floor? DF: ... was gross negligence. SC: Were you able to form an opinion? SC: Were there a number of factors... ? SC: In forming your opinion as to whether or not the construction was gross negligent construction ... what's the standard of care? Judge Tynan: What did you learn about the fire? Specific facts to form your opinion? Feb states he first looks at the building code, to see if the ... appliance was tested and (UL?) listed. This product didn't have those tests. Second, the company's manufacturing instructions and that ties to the building code once again. Third, his background and experience. But the main is, the code and the manufacturer's instructions. SC: The appliance itself. Describe it to the court. DF: 180 inches. ... It was a combo (of) 2 (300 ?) BTU's rating into one system. There were three different documents from the manufacturer. The email document to Mr. Becker; a tag applied to the appliance when it was shipped; the manual included when it was shipped. SC: Did you review the tag? .... What was significant about the tag? DF: The clearance requirements and ventilation requirements. ... The tag also has information on it (about the) responsibility of the installer. SC: Was that information important in forming your opinion? The warning notice clearly indicated failure follow installation instruction could result in a loss of life. Feb discusses the only steel trough to transfer heat. The clearances required for this item were 96 inches above and 14 inches on each side. SC: Did it have adequate clearances? The 96" height requirements were not met. The space clearance above the trough was about 18 inches. The (surface?) sides, 14 inches, it did not meet that as well. The trough was framed with combustibles. There was WonderBoard® not considered a combustible, on the back wall. Tile was attached to that. He inspected the device at LAPD evidence locker. D. Re: Objection! What are we talking about? The trough was laid directly on drywall, on top of a wood frame. DF: Yes. ... Wood is combustible matter. Feb mentions the ventilation. I required 2 18 inch square vents. If venting not present, the flame could be drawn downward. If the device was outside, it should have 18" vents in the outside of the structure. Not installing vents, it brought on the fire. I believe Feb states that each (control) box in the trough, put out 3,000 BTU's in heat. Both boxes had scoring. In one box, the fire moved out into other areas of the house. Feb saw similar evidence of burn patterns in the other fireplaces in the house. Feb was never at the house. He saw device at LAPD evidence locker and viewed photos of fireplaces in the lower levels. He saw burn pattern in the photos of the lower fire places. Judge Tynan asks about drywall. I believe Feb responds that it is fire resistant but it will burn. WonderBoard, it doesn't burn. Feb explains the testing standards for a material as either combustible or non-combustible. Feb then explains the "snap switch" safety mechanism. Once the temperature falls within a normal range, it switches on again. Feb then goes over the instructions for the device and the warnings the device is for outdoor use only and the important parts, ventilation. The instructions on the device say, it must be installed by a certified NFI (?) installer. I believe Feb describes the differences between an indoor and outdoor fireplace. An indoor product has to be tested (by a certified testing agency) as to the manufacturers standards, ventilation, and clearances. These agencies test for drafting and if it's safe. Everything would go back to the actual testing results required for that product. It's a requirement in California that the front of a fireplace be covered. Judge Tynan interrupts testimony, telling counsel, "It's near the witching hour. The reporter is giving me dirty looks." The court reporter shakes her head. During the break there is a discussion among Judge Tynan's staff and counsel about the recent cutbacks at the court. The court has closed several buildings. There is also a discussion about AB109 also known as "realignment." Arraignments of specific types of cases are moving to the East Los Angeles courthouse and the Metro courthouse. The impact is that other courthouses will have to pick up the work loads that closing courthouses used to handle. I note that Young's jacket looks like a wool weave. People's exhibits 49, a fireplace and 52. Exhibit 52 is the inside of the fire appliance. Now we are shown photos of the new fireplace that was installed after the damaged home was rebuilt. The photos are admitted, limited evidence as to what would be acceptable construction. As I'm remembering these photos months later, it was a huge wall installed fireplace, mounted into the old fire trough area. It appeared to be stainless steel and there was a type of glass in front of the flame/fire area. Feb is asked if he is familiar with this type of appliance. Feb states it's listed as a MONTEGO gas, certified appliance. Exhibit 52 is a photo of the device showing that it's a box within a box. Feb states it's sheet metal construction, that isolates the heat. Judge Tynan: Sustained! Move onto different topic. Carney asks about the instructions for the trough. Feb states the instructions went into a good description to go into warning to the end user. Feb goes over the various warnings and standards for installing the fire trough, and the recommended materials to use to build the enclosure. SC: Did the fire trough comply with the instructions? It was next to combustible materials. There wasn't the required venting and no clearances for combustible products. So three things. The framing was combustible materials. There was no venting to keep temperatures down. There were no vertical or horizontal clearances (to the recommendations). Carney now asks Feb to compare this to the building codes. The building code requires inspection and permits for a fireplace appliance. There were none. Feb goes over another building code law, 91.106.4.3.2. Regardless if the owner pulled a permit or not, the City is not liable. D Re: Objection! Move to strike! Judge Tynan: Sustained. You can argue. Section 91.110 of the building code is discussed. The law is read into the record. Feb talks about (instructions?) on systems safety. D Re: Objection! Calls for legal conclusion! DF: It (fire pit/trough) did not meet requirements. DF: The manufacturer's requirements were not followed and built improperly. SC: Are there other requirements in the (City of LA?) Building Code that it did not comply with? Feb mentions other parts of the code that were not complied with. He talks about section 112.1, which is about installation of a combustible appliance. Feb talks about an unlisted (unrated UL) appliance and the amount of clearances needed. Feb talks about the building code requirements for venting. SC: Did it comply with the building code? DF: No, it did not. The device was not properly vented. There are no codes that make exceptions. Code 91.101.2 is discussed. The purpose of this code is to safeguard life and welfare of the public. There are always minimum requirements. It's never the maximum requirements. SC: Were you able to form an opinion regarding the manufacturer's instructions and the municipal building codes, whether the fire trough was installed and construction was grossly negligent? SC: I believe the evidence code ... an expert can give an opinion. I believe DDA Carney or Judge Tynan asks, "Would an expert, competent builder of fireplaces, a reasonable person, ... build like this?" Feb answers, "No." Feb explains how the fire starts and where it expanded to. The next question is about fire blocking. Fire blocking should consist of the same material ... installed every ten feet. There must be a barrier (fire block) to slow the spread of fire. The objective is to slow the progression of fire and separate horizontal spaces from vertical spaces. I start to get sleepy. The AP reporter enters then soon leaves. Feb explains that there was no horizontal fire stop (above the fire trough) and the photos show the fire (rolled?) over the top of the enclosure and spread to the drop ceiling. There must have been a question or some friendly banter between counsel and the court because I have a note here that Judge Tynan says, jokingly, "I trust these guys." Feb states the construction of the fireplace enclosure and installation of the fire pit was, "So out of the norm that it didn't compare..."
SC: Did it present imminent danger and death? SC: What's that based on? DF: The nearness of the combustibles ... heat transfer of the products ... based on experience ... burn patterns. If it not happened at this time, it would have eventually. I believe direct is finished and cross begins. Feb would not change his opinion that Investigator Thost was not aware of insulation used as fire stop. There is a question about compliance with duties if the building inspector and Carney objects. D Re: Are you saying the code doesn't require (you?) to do the job? DF: Building code is mute on that. D Re: You could find no records for permits.... ? I believe Feb answers just for the regular appliances. D Re: Ever spoke to Mr. Bescos about his practices? DF: No, I did not. D Re: Know anything about his practices? D Re: Isn't it a fact that something that hasn't been tested doesn't mean it doesn't meet (the requirements), it just means it's never been tested? Re asks about the difference in building codes between the city and ordinances. Building codes are developed in the field by experts. Feb states he had never worked for the DA's office before. He's worked for the County of Riverside, and for the public defender's office. His work is billed hourly. He confirms he's never been to the house; he looked at a series of documents and tapes. Re asks that when he makes his opinion, he's assuming that the reports he's reviewing are accurate. Feb answers, "Yes, there is some assumption." Feb states who he specifically worked for in Riverside County; Mr.s Knight at the public defender's office. In that case, he never got to testify. This is his first criminal case. He's testified for the plaintiff and defense in civil litigation. Carney asks Feb a hypothetical. SC: Let's say if a building inspector saw the fireplace and signed off, would it change your opinion?" D Re: Objection! SC: Same hypothetical. Does it change your opinion as to the reasonable(ness) (of the) ....construction? DF: We do see mistakes, but we never seen a mistake so far outside the norm. ... Knowing the job. SC: Does the city rely on the good faith of the building owner? Direct ends and there's no recross. It's 4:20 PM Judge Tynan notifies counsel that tomorrow he has three evaluation and 20 progress reports on his regular calendar. He tells counsel, "Why don't you come in at 11 AM?" They are given a couple of hours to argue. Re gives his condolences to the witness, who will not be available again until next Monday, due to his brother's death. In the elevator, Matthew and I ride down with DDA Carney and Detective Stearns. Matthew asks Carney if he can get the code book (that was shown in court that Becker was using) on Amazon. I pipe up and tell Matthew we have that book. He can borrow ours. Mr. Sprocket bought it when we put in our own central air and heating system. Matt responds, "Why am I not surprised that Mr. Sprocket has a copy of that book?" And for the first time, Detective Stearns smiles. Last August, Lois Goodman, 71, a tennis line referee for the US Open was arrested in New York City and brought back to Los Angeles. She was charged with murder in the death of her husband Alan. Alan had died in their Woodland Hills condominium on April 17th, 2012. There was blood from the stairwell to the bedroom and other areas throughout the home. After Goodman was arrested, she was suspended from her job. 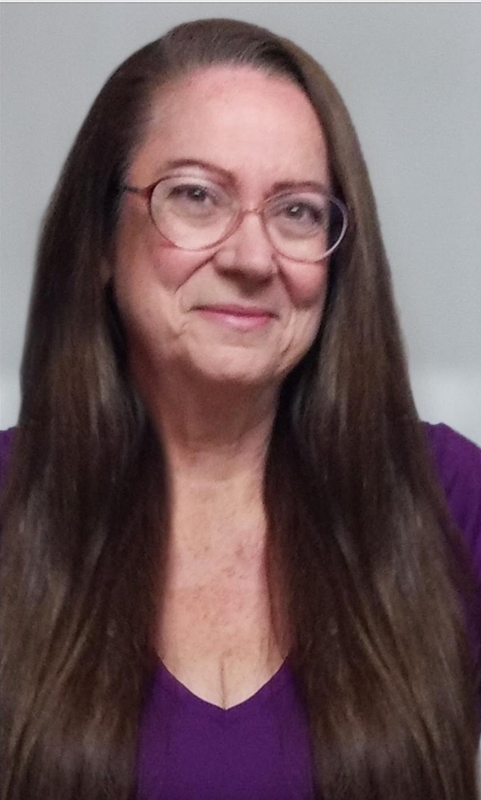 His wife, a professional tennis official named Lois Ann Goodman, told the authorities at the time that she had come home from working at a local match and found her husband. She told the police that her guess was that he had fallen and hit his head. Perhaps, she said, he had suffered a heart attack. Or, perhaps, both. In the search warrant affidavit, Detective Jeffrey T. Briscoe stated that during a second interview of Goodman by Detective Pitcher, "Lois gave a conflicting account of what she had seen the day she discovered her husband." Goodman's defense attorney Alison Triessl presented the court with over 40 letters from family and friends in support of her client. Because of this outpouring of support, Goodman's bail was reduced to $500,000.00, and Goodman was able to make bail. 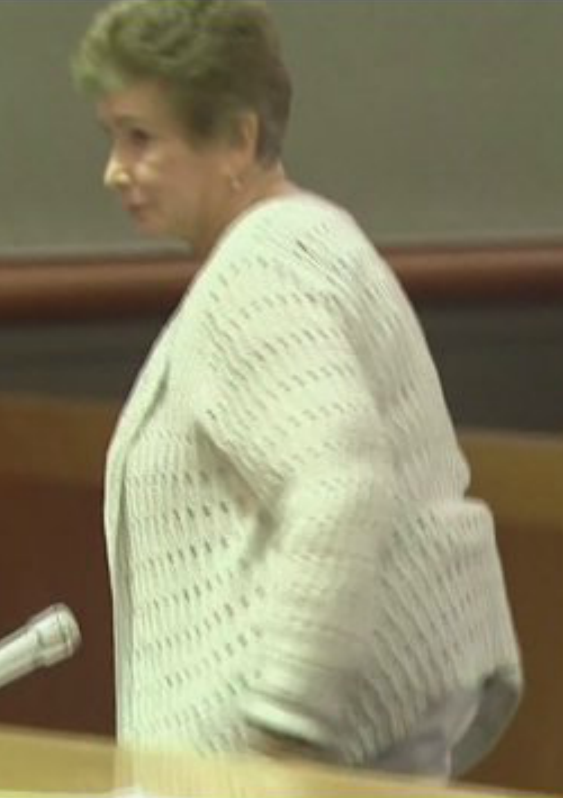 In moving papers, Goodman's defense team detailed the many surgeries and other health issues as evidence that Goodman did not have the physical strength to kill her husband in the manner the prosecution alleged. On November 30th, the district attorney's office dropped the charges against Goodman. Several weeks later, the US Tennis Association gave Lois her job back. Last week, many news outlets reported that Goodman had filed a lawsuit in federal court against the LAPD and the coroner for false arrest and to get her reputation back. On October 17th, at one of Goodman's pretrial hearings, I spoke to one of Goodman's supporters who approached me. At the time, the woman wondered how her friend would earn a living and get her good name back. It appears Goodman feels a lawsuit is the only way. Various news stories quoted from the complaint but I did not find a copy online. T&T has uploaded a copy of the full complaint and you can read it HERE. Note to T&T readers: I apologize for the long time between posts. I've been busy with real-life responsibilities to Mr. Sprocket's business as well as some long over-due kitchen repairs. 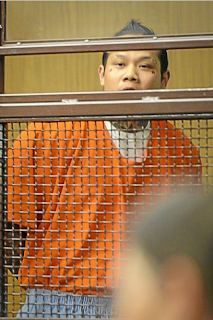 I hope to have another entry on the Kelly Soo Park Trial Synopsis and Gerhard Becker prelim up soon. Sprocket. Prosecution exhibit of Juliana's bedroom floor. Circle outlines blood underneath Juliana's right foot. This is T&T's continuing synopsis of the Kelly Soo Park trial, Part III, closing arguments. Sprocket. The jury's verdict on the lesser count, first degree murder is read in open court: Not Guilty. The jury had not reached a verdict on second degree murder. Immediately after, the jury returned to the jury room and Judge Kennedy reviewed with counsel the jury's questions regarding further instruction on second degree and first degree. Judge Kennedy ruled that each side would get an additional 10 minutes of argument to address the jury. The defense objected. Defense counsel George Buehler objected to that procedure, arguing that the jury did not ask for "more discussion of the evidence." Buehler expanded on why he thought this was an error the court was making. "... and I fear that again, the message that will go to the jury is the court is not happy with the way they have done things so far; they need more help. And I don't think that's appropriate. I think it becomes coercive for whatever minority of jurors have a different opinion from the majority. And particularly when they haven't asked for it." The court explains that what counsel will be allowed to argue is the differences between first and second degree murder. Buehler objects. He's not sure that's what the issue is with the jurors. Buehler argues to the court, "So I don't see how the court can impose any real structure on what counsel and I can argue. So I do object, your honor." Judge Kennedy responds, "Okay." It's not clear if she ruled she agreed with Buehler or if she just acknowledged his objection. The state had the option to split up their time into five minutes before the defense and their remaining five minutes after. When the jurors are brought out, Judge Kennedy tells the jurors they will hear an additional 10 minutes each of argument on the issues the jury raised regarding the difference between first and second degree murder. Judge Kennedy also references page 10 of jury instructions, instruction 520, which also related to those same issues. When the additional arguments are over, she asked them to return to the jury room to continue their deliberations to try to reach a verdict. DDA Stacey Okun-Wiese speaks to the jurors extemporaneously. She doesn't use any notes at all. She starts off by explaining to the jurors that all murder in California starts at second degree. There are two ways to get there: expressed or implied malice. First degree murder requires expressed malice and premeditation and deliberation. Okun-Wiese then moves back to explaining second degree murder and the elements that need to be proven to convict. "There are two separate ways that the law recognizes that a jury can find the defendant guilty of second degree murder. The first way that a jury can reach a finding of second degree murder is when there is an act that causes the death of another individual. In this case it is the act of strangulation. In addition to that act there has to be what is called malice aforethought." Okun-Wiese then talks about jury instruction 520. "This instruction tells you that element one, the defendant committed an act that caused the death of another person; and two, when the defendant acted, she had a state of mind called malice aforethought." She then gives detailed examples of expressed malice and implied malice to the jury. Okun-Wiese explains expressed malice as going up to someone and saying, "I'm going to shoot you," and then proceeding to shoot them. Implied malice may not be that clear from the evidence. "..sometimes the circumstances are such that it is not that clear by the actual evidence that the person had the intent to kill, but the person's action suggest that they shouldn't be getting away with this act that they committed just because they come in and they say, 'I didn't mean to kill her.' So what the Law does is, it lays out four elements for you which are listed in jury instruction 520." Okun-Wiese then details those four elements for the jurors. The defendant's strangulation of Juliana, placing her hands around her neck, cutting off her blood and air flow that caused her to die, that meets the first element. "Stopping the flow of blood and oxygen to the brain causes loss of consciousness, brain damage and/or death," Okun-Wiese states meets element number two, which state the consequences of the act were dangerous to human life. "Again, you look at the facts in this case. The defendant placed her hands around Juliana's neck. That was an act that the probable consequences would either be serious harm to the body and/or death." Element three requires that at the time the defendant acted, she knew the act was dangerous to human life. Element four, the defendant acted deliberately with conscious disregard for human life. "Now you have sent a question asking what conscious disregard for human life means. And here is what it means. You know what you are doing could cause serious injury to another person and/or death, and you do it anyway. You do it because you don't care. You understand that there is a risk you could harm somebody, and you simply say, "I do not care" and you do it anyway," Okun-Wiese tells the jury. Okun-Wiese then brings up further evidence of Park's disregard for human life "...when she turned the stove on and left the gas emanating through the apartment building. It could not have only caused an explosion in Juliana's apartment; but it could have caused an explosion throughout the whole apartment complex." Okun-Wiese argues to the jurors, "If you are going to turn on the gas, there is a reason why you are doing it. It is to cover up your crime and to create it so there is no evidence left at the scene." Okun-Wiese tells the jurors, "It' is the people's position that when the defendant placed her hands around Juliana's neck, the defendant intended to kill her. She beat Juliana up prior to putting her hands around her neck. We know that from the testimony of Dr. Louis Pena. She had numerous hemorrhages in her head from being hit or banged against the wall. This strangulation occurred after that beating. When she placed her hands around Juliana's neck, it is clear that she wanted Juliana to die." Okun-Wiese continues, "And if you are not satisfied that there is an expressed intent, an express malice, then look to implied malice. The defendant knew he act of placing her hands around Juliana's neck could cause death or serious bodily injury, and she did it anyway because she just didn't care. Thank you." The court informs the prosecution that the used their entire ten minutes. Then George Buehler gets up to present his additional ten minutes. Buehler first thanks them for their hard work in the case. He then makes the point that what they just heard is argument. "The district attorney has no authoritative word on what the instruction about malice means. Ultimately each one of you is to make your own judgement by reading the instructions, and make your own judgement about what that instruction means as applied to the facts as you find them. The prosecutor has given you her version of the facts and her version of what that should mean under the instruction." Buehler then explains there is a difference between first degree and second degree murder. "But second degree murder still requires a very high state of intent, of criminal intent. It does require malice. And the fact about this case, I submit to you ladies and gentlemen, is that there is a whole lot of uncertainty, a lot of unanswered questions s to what happened in the apartment the night that Juliana Redding was killed." "Even if the prosecution has proven beyond a reasonable doubt that Kelly Park was there, there are a whole lot of questions as to what actually happened there, who else might have been there, what other people might have done. You have very little evidence about what actually happened." Buehler goes onto explain that the prosecution relied heavily on the DNA to place his client in the apartment and to place Park's hands around Juliana's neck. "But you know, because you heard the evidence, that that DNA evidence leaves a lot of questions unanswered." Buehler reminds the jury that it wasn't an expensive expert that talked about transferred DNA, "...it was the prosecution's expert. It was the prosecution's expert who said that there are -- there is a lot of uncertainty in the science of how DNA gets places and how it can be transferred, and that she could not give an opinion, as an expert, on whether or not that DNA got transferred to somebody else rather than coming from Kelly Park." Buehler states that it is a question why Park's fingerprints were not found all over the apartment if she were handling things. He states there was no investigation of the alibi of Brian Van Holt. Buehler tells there jury there are many unanswered questions in this case. "And if there are questions that aren't answered, whether it is a question about the meaning of an instruction to where you collectively cannot come to an agreement on that; you have differing judgements, differing intuitions perhaps -- sometimes decisions we make are made on intuition, our gut. If you have different views and you can't come to a clear answer that everybody can agree to on the meaning of an instruction or on the facts of what happened that night, then there is one instruction that controls: You go back to the early instruction 220, Page 2, that says, "A defendant in a criminal case is presumed to be innocent." And that presumption holds until such time as the prosecution has satisfied all of you, beyond a reasonable doubt, that under the instructions and under the evidence, beyond a reasonable doubt, the defendant is guilty." "I submit to you that there is no such level of evidence in this case. Thank you, ladies and gentlemen." The jury then went back to the jury room to deliberate again. The people call Detective Dan Myers. Myers has been an LAPD officer for twenty-five and a half years. He's been an investigator since March of 1994. Myers is the lead investigator on the case. Myers went to the Devonshire crime scene. When he arrived he saw four victims shot at that location on the west side of the property. Myers is shown a photo of the victims at the scene. 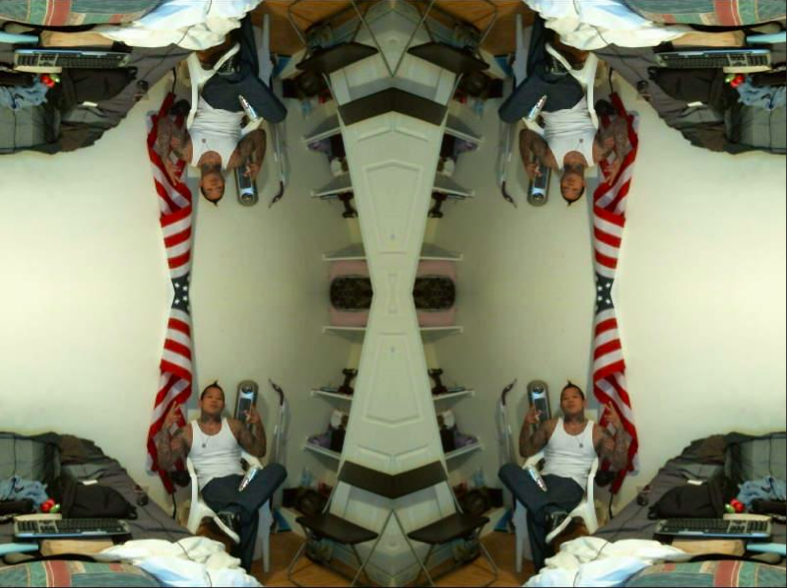 In the top of the photo, Myers identifies victim Teofilo Navales (aka Jojo Burbank), lying on his back. The the left in the photo is a male, David Calabia. He then corrects himself and states the victim's name is Robert Calabia. "David" is a misprint on the exhibit. The female on the left side is Amanda Ghossein. The fourth victim, lying on her knees, resting on her elbows was identified as Jennifer Kim. Myers testifies that he and his partner attended the coroner's examination for every victim. The defense states they stipulate to the coroner's findings. On December 2nd, Amanda Ghossein, Jennifer Kim, Teofilo Navales and Robert Calabia were shot and killed at 11744 Devonshire Street in the County of Los Angeles. Deputy coroner Brian Hutchins performed a post-mortem examination (2012-07957) on Amanda Ghossein. Ghossein died immediately of a gunshot wound to the left parietal side of her head. 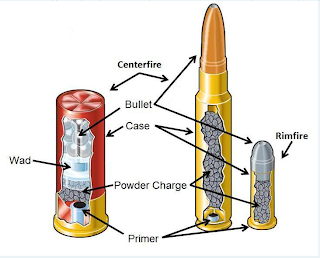 The bullet traveled back to front, left to right and downward. There was no soot or stippling. The manner of death was homicide. Deputy coroner Yulai Wang performed a post mortem examination on Jennifer Kim (2012-07598). She suffered two gunshot wounds. One gunshot wound entered at the side of her neck. It was back to front, left to right and upward. There was no soot or stippling. The second gunshot wound was a through and through. It entered Ms. Kim's back, entered the scapula and exited the neck. This wound was non-fatal. As the details of the victims wounds are read in court, a low sound starts to permeate the gallery. Many of the victim's loved ones are sobbing. On December 4th, 2012 deputy coroner Jason P. Tovar performed the post mortem examination on Robert Calabia (2012-07959). Calabia died immediately from a gunshot wound to the head. A second gunshot wound to the back that was life threatening. The gunshot wound to the head was a "through and through" The second wound exited the mouth. Deputy coroner Ajay Panchal performed the post mortem examination on Teofilo Navales. Navales suffered a gunshot wound to the the head. It traveled from the back of the head to the front. There was a second gunshot wound, through and through. It entered the abdomen, traveled front to back and left to right. It exited the right side of the back. Again, the defense stipulates to the coroner's examinations for the preliminary hearing only. Myers testifies that shell casings were recovered from around various points on the bodies. People's exhibit 4 is presented. There are four red dots (circles?) 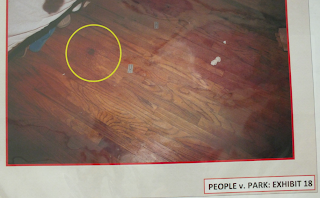 outlining where the shell casings were found around the bodies. Family members of the victims are sobbing behind me. Myers explains where shell casings were recovered around the bodies. All four casings were 40 caliber range. All of the casings were booked into evidence by criminalists. Myers is asked to explain what a casing is. Myers explains, "It's part of a cartridge. ... It's what is ejected from the weapon." DA: In attending the post-mortem did you collect the projectiles from the bodies? Myers testifies that he observed the recovery of all the bullets (by the coroner's) and collected them from the LA County Coroner's office. He then booked them into evidence. He observed the recover of the bullets from Jennifer Kim, Amanda Ghossein and Teofilo Navales. For Robert Calabia, the bullet that entered his skull was recovered at the scene. It was recovered from a knit cap he was wearing at the time. Myers testifies as to the items and what numbers they were booked into evidence under. Myers states an effort was made to recover the weapon. They served search warrants at the defendant's aunt's house. They brought in an archaeological team. They were unsuccessful. They never recovered the weapon. They recovered a weapon from underneath the front passenger seat of a black Audi in Nevada. DDA Akemon states there is one last brief area to review. DA: In connection with the investigation, did you interview Christina Neal? ... Was she initially reluctant to speak to you? DA: Did she eventually speak to you? Akemon now reads from a transcript of Christina Neal's interview with Detective Myers. DA: Did she say, "Like when if you if it's not true Ka. ... He told me that he shot people. ... He told me that he shot JoJo and a person named Robert." Do you remember (that conversation)? DA: Do you recall Ms. Neal saying, "He, he said that ... cause (caused him?) to shoot everybody. ... But Howard's gun was supposed to do it, but he got scared. ... But for Howard to search (through?) the people but Howard didn't want to do it." Did you get that answer from Ms. Neal? DA: Do you recall asking Ms. Neal, "Did he say head shots? (And she responded) "He said they were all shot in the head." Myers then said, "He said that?" (Ms. Neal responded) "He said that. He shot five times. H said he counted." Did you hear Ms. Neal give those answers? DA: Did you ask Ms. Neal, "You said it was four?" (Ms. Neal answered) "He started mentally counting bullets. 1,2,3,4,5. He said he shot JoJo twice." (Det. Myers asks) "Did he say any particular order?" (Ms. Neal answers) "No he didn't. He just said he shot JoJo twice." Myers affirms those statements were made to him by Ms. Neal. In the second interview with Christina Neal, more questions were asked about the weapon Pasasouk used. Akemon goes over more of the transcript with Myers, identifying each speaker. Myers: Did he say what he shot them with? Neal: He said that Howard's gun was supposed to get used but it didn't get used. Neal: He said that he shot them in the head. Judge Giss has a question for the defense. I believe it's James Goldstein who tells the court he doesn't believe those specific questions were asked of Ms. Neal. Goldstein states he doesn't think it's his function to call Ms. Neal back to the stand. JG: Those statements (by Detective Myers) are inadmissible. Judge Giss: I don't remember any specificity. ... And I don't remember any inconsistent statement. I believe the people state they have three (theories?) of admissibility. Ms. Neal testified to it and all statements (and Myer's testimony) comes in under Proposition 115. If at some point, she is not available. Akemon continues that, "Because at some point she was inconsistent so we did in an abundance of caution." Akemon states they put these statements in the record now in an abundance of caution if she's unavailable. Goldstein states he cannot argue under 115 solely and that his recollection of Ms. Neal's testimony differs from the prosecution as to what she testified to. I believe it's Judge Giss who states, "If it's that critical, then ask for a transcript." But he agrees that under 115 the testimony comes in. "If at some point she's unavailable... and (Det. Myer's testimony about what she said) is ruled inadmissible under 240, ... you could go at it. ... I can't say it's a prior inconsistency without having the transcript." (Let me explain here for those who are not familiar with this particular law. Proposition 115 allowed certain witnesses to testify to hearsay at preliminary hearings. The issue regarding Detective Myers's testimony about what Ms. Neal said to him has to to with whether or not her statements when she was on the stand are inconsistent with her tape recorded interview with detectives. If her testimony under oath was inconsistent with what she said to detectives, then it would be admissible for Detective Myers to testify as to what she said, previously. Judge Giss: Anything further from this witness? Detective Myers testifies about Pasasouk's prior criminal record. Pasasouk had several prior felony convictions. On May 4th, 2006, Pasasouk was convicted of second degree robbery. On November 17th, 2005, Pasasouk was convicted of assault by means to commit great bodily injury. The people move to admit into evidence a two page document detailing the defendant's prior convictions. The defense have no objection. Judge Giss goes on the record about Detective Myer's testimony about Ms. Neal's prior statements. At the time, Judge Giss would not have known that the court would need a transcript to verify... that the statements were from the recorded interview that the court does not have a copy of and would not be privy to. The courtroom is very busy, with other business going on during the break. Back on the record. Detective Myers is still on the stand. DA: Did you interview Wanito Mendoza? DA: Did you ask him about a voice he heard outside of the house? Akemon reads a section of the transcript of the interview with Mendoza to the detective, identifying each speaker. Myers: So what did you hear? Mendoza: Raise your, raise your hands up. Myers: Raise your hands up? .. Who says that? Mendoza: Yes. I assumed because I didn't see. Myers: Did it sound like Ka. Mendoza: It sounded like Ka. DA: Did you ask those questions of Mr. Mendoza? Detective Myers is finished and the prosecution calls their next witness. Ms. Alvarado is a criminalist with the LAPD, assigned to firearms analysis. She is someone who responds to crime scenes, collects evidence, analyzes evidence then prepares a report. She's been a criminalist for six years. She gives her CV: education, training and background, that qualifies her as an expert witness. She has a bachelors in biology and a masters in criminalistics. She is currently with the firearms examination unit. She has also taken outside training. She's completed the competencies to do the work. She's testified about ten times and performed about 100 firearms analyses. 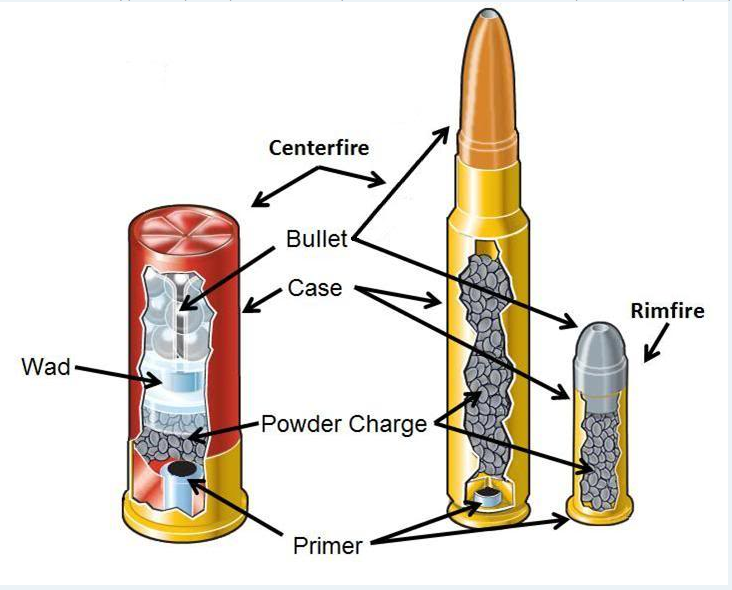 Alvarado also explains that a cartridge is a piece of ammunition. She explains all the parts that go into a cartridge casing. She then explains the physics of a fired bullet. Alvarado examined the evidence in this case. She examined four projectiles; four bullets. DA: Did you form an opinion? DA: What is your opinion? KA: ... is that they were all fired from the same firearm. Alvarado testifies that she did a type and caliber. The bullets are consistent with a 40 caliber, six lands and groves with a right twist. Her opinion is, all four bullets were fired from the same firearm. KA: They were fired from a semi-automiatic firearm. Alvarado also examined shell casings, evidence item numbers 116, 117, 118, 119. She performed an analysis on the shell casings. KA: These four casings were fired from the same firearm. Alvarado explains she used the fire pin and fire breach to compare. All bullets and casings came from the same firearm. Alvarado also examined a live round cartridge. She compared it to the shell casings that were recovered around the bodies. Alvarado's opinion is that the live round was cycled through the same weapon. She looked at the "ejector mark" to make the comparison. She came to the conclusion the markings on the live round matched the spent cartridge casings. Alvarado also examined the recovered revolver. She compared the revolver to the other firearm evidence. It didn't compare because of characteristics. The revolver was a 38 special. That revolver has eight lands and groves. DA: So that revolver was excluded as cycling those cartridges? Alvarado tried to determine the different types of makes and models of weapons that could have fired the bullets. She can do that on the bullets. She came to the conclusion that a Ruger could have been used. JG: Ruger is a manufacturer? JG: What about Smith and Wesson? KA It is also a manufacturer. JG: You also mentioned Smith and Wesson? KA: That's in relation to a cartridge. JG: Did you eliminate from your analysis a Smith and Wesson as the gun in this case? KA: Smith and Wesson is not on the list that could have fired these bullets. Alvarado explains what caliber is. She also explains "lands and groves" which are tool marks inside the barrel of the weapon, that help to move the bulled down the barrel. Alvarado explains the FBI's firearms database. She inputs the information (lands and groves, caliber) into an FBI database and it will come back with a list of weapons that could have been used to fire the bullet. The people move that all the people's exhibits be moved into evidence. The people rest. Judge Giss: Does the defense wish to put on a defense? Judge Giss then goes over the charges, count by count. There are 10 counts against the defendant. Judge Giss discusses counts 6 through 10. These are victims John Doe (Pseudonym per witness request. Sprocket), Dandy, Ronald, Evelyn, Wanito. Judge Giss explains the research he did last night, that describes "...crimes against persons. Presenting a gun at a person is a (Penal Code) 245." Judge Giss then goes over case law that he is relying on. The court describes the case and reads from the prior ruling. "Assault is a very sophisticated, elusive matter." Judge Giss rules there is sufficient evidence for these counts against the defendant to stand. Then Judge Giss goes onto count 5, attempted murder against Ms. Bax. Judge Giss mentions the act of hitting Ms. Bax with the weapon. "Defendant used the gun to hit Ms. Bax, but that, I don't think, is sufficient evidence." He then mentions the verbal threats, and that there's nothing that follows that. There's no conduct that follows up on that verbal intent. Judge Giss then reads from jury instruction, CALCRIM 600. "A direct step is one that goes beyond.... an unambiguous step to get towards...."
Judge Giss continues. "It's close. I think there's enough evidence to support it." The court mentions that there is another charge that could be filed, solicitation of murder, 653, sub section 'D'. Judge Giss thinks the prosecution could file another count under 653, F.
I look up from my notepad and take a glance at the defendant. He's nervously bouncing in place. There is sufficient evidence to hold defendant to answer. Sufficient evidence the defendant used a firearm. Count 5, willful, deliberate premeditated murder of Ms. Bax, a human being, 187a. Judge Giss mentions it's charged as murder. "That's an inadvertent error." It should be attempted murder, 664a. Judge Giss corrects the document and states, "The court has made those amendments." Judge Giss rules there is sufficient evidence to answer for assault with a firearm, (counts 6 through 10) with (spec?) named defendant on each of the counts. The allegation that the defendant used a hand gun, Judge Giss finds that's true. The ex-con with a gun allegation, there's sufficient evidence to hold with that count. Judge Giss rules there will be no bail because it's a special circumstance case. The evidence to support the case is strong. The arraignment will be held August 14th, 2013 in Dept. N.
Judge Giss then mentions that he appreciates the civility between counsel. Sometimes it's very unruly, and he appreciates the civility. Goldstein leans in to speak to his client before he's taken back into custody. I ate my lunch quickly in the cafeteria and headed back to the fourth floor to plug in my laptop beside a hallway bench. The woman sitting on the bench next to me turned out to be Robert Calabia's mother, Alejandra. She sat next to me in the courtroom several times during the proceedings. Normally, I do not approach victim's families when I cover a court proceeding. I prefer to give them their privacy. But Ms. Calabia had spoken to me a day before inside the courtroom when we were seated next to each other. She had shown me a photograph on her phone. At the time, I wasn't sure which victim she was referring to. So this time, I ventured where I normally don't go. I asked Ms. Calabia if she was related to one if the victims. She told me it was her son, Robert. She showed me a photo on her phone of a smiling, handsome young man. I asked Ms. Calabia to tell me about her son. Robert, her youngest child was an LVN, nurse. He worked at Cedars Sinai Hospital, just like she did. So I could get the correct spelling of her first name, she showed me her employee badge, where she worked at Cedars as a certified nursing assistant. Alejandra told me about her son. "He was a very popular nurse with the patients. He took good care with the patients." Robert was a kind person and people were always asking favors of him. "Because my son had a car, they (friends) often asked him for rides to places." Alejandra also stated that the two women with Robert, "..often came with Robert to my house." Alejandra told me why Robert drove to the Devonshire residence. "He was there to pick up Jun." Jun supposedly had called Robert and asked for a ride. Robert knew Jun because of an ex-girlfriend he dated named Ann (sp?) Ann is Jun's niece. "That's how they all knew each other," Alejandra said. I do not know how much of this is accurate, regarding why Calabia and his passengers drove to the Devonshire residence. I do not know if the detectives verified if there were phone calls from Jun to Robert or not. There has been very little in the news about the victims other than their names and photos. It's unknown why Kim and Ghossein were in Calabia's car at 3 AM on the morning of December 2nd. Other than what Ms. Calabia told me about her son, I don't know what the other victims did for a living, if the photos of the child with Ghossein is her daughter, or if she or Kim were married, etc. Victim Amanda Ghossein's memorial fund Facebook Page shows a beautiful young woman with a young child that could be her daughter. A similar photo of Ghossein with a young child was included in an LA Times article. Then, Ghossein's mother and aunt spoke to the press about their anger towards Van Nuys Judge Jessica Silver who agreed to let Pasasouk enter a drug program verses being sent back to prison. There appears to be a photo of victim Jennifer Kim on a Facebook Donation Page set up for her that matches a photo identified of her on NBC.com. NBC.com has a photo of Robert Calabia online that looked similar to the photo his mother showed me. There's also a photo on NBC.com of Teofilo Navales, aka "JoJo Burbank." I also found an Obituary page for Navales, indicating he was married and had three daughters. I'm inside Judge Giss's courtroom, Dept. I. There is some friendly banter in the well between Detective Myers and defense attorney James Goldstein. In the gallery are and older, petite woman and a handsome teen in a white shirt and tie. I've seen DDA Akemon speak to them several times. I make a guess they are not victim relatives but could be friends or family of Akemon. The defendant is brought out. The next witness will be 'Jun' aka as Wanito Mendoza, Jr. Mendoza will testify in his native language although he understands English. The female interpreter joins him in the witness box. Mendoza, (Jun) states he's 51 years old. DA: Do you speak English? DA: What is your first language? DA: How long have you spoken English? WM: The (medium?) language in Filipino is English. Wanito states he spells his name "Jun." Judge Giss states that the people's exhibit (with the photo of John Doe (Pseudonym per witness request. Sprocket) & Dandy's bedroom and the individuals who were there) has the spelling as "Joon." The photo exhibit is corrected. DA: Do you know a person by the name of Ka Pasasouk? Jun is asked how many times he saw the defendant. He pauses before he answers, as if to try to come up with a figure. He saw the defendant "around a hundred times." DA: What is your relationship? Is he a neighbor? A friend? WM: I just know him. DA: On December 1st, which was a Saturday, did you go to a residence, 17441 Devonshire St? DA: (What time) Did you arrive at that location at? DA: When you arrived, did you see Mr. Pasasouk? DA: Is Mr. Pasasouk in the courtroom today? Jun identifies the defendant. I start to wonder if the interpreter is adding the word "sir" to the witnesses answers herself. To me, it appears this witness and the last witness that used this same interpreter, their answers were often the same, "Yes sir." When the male interpreter was being used, the witnesses sounded like they were using the same word for 'yes,' but the male interpreter did not add the "sir" in the English answer. DA: Did you ever see Mr. Pasasouk with a gun? WM: At the second floor. DA: Do you mean the apartment at the back on the second level? Jun was visiting on that day. He knew Howard. WM: I just know him (Howard), like an acquaintance. DA: Did you see Mr. Alcantara with a gun? DA: Where was Mr. Alcantara when you first saw him with a gun? WM: Also on the second floor. WM: I saw them both together. Jun is asked to describe the guns. Jun describes Pasasouk's gun as a 45 mm, but then he wavers and says "It's a maybe 45 mm." DA: Where was Ka's gun when you saw it? Akemon asks about Howard's gun and what it looked like. WM: That one, it's like a revolver. DA: Where was Mr. Alcantara's gun? WM: Also in his hand. DA: When you saw them with gun, where were they? WM: When they were on the second floor. ... He was looking for Christina. DA: Who was (looking for Christina)? He understood Ka. Ka was speaking ordinary English. WM: The first one I saw was Ka first. I only saw Ka. The second and third time I saw Howard. The first time Jun saw Pasasouk, he came into the apartment by himself. He only saw Ka because Jun said, "I was inside the room." Jun was in the "first room." Ka walked in the front door of the apartment. DA: that's a living room area? Now it's explained that Jun was in the first bedroom, not the living room of the apartment. WM: The first time, I was in the first bedroom with Ronnie (Ronald) playing cards. The first bedroom was Ronnie's bedroom. The second bedroom was where Mr. Doe and Dandy (were). The first bedroom was where he saw Ka with the gun. The first time was when Ka was asking for Christina. DA: Did he point the gun at you? DA: Did he poin the gun at anyone? DA: Nothing happened and then something was said? WM: Yes. There was something said. DA: Do you know what was said? WM: I don't know exactly, but what I got was, "You also, you also." .... It was to Ronald. DA: Did you see Ka do anything with Evelyn at that time? WM: Yes sir. ... He pushed her from the living room. Akemon asks if a gun was pointed at Evelyn. WM: Yes sir. ... It was pointed at her and her back. DA: After Mr. Pasasouk pointed the gun at her and at Ronald did he leave? DA: When he came back, was he with Howard? Jun explains what happened when Pasasouk and Howard came back. WM: I said that we should get out of there, because Ronald's bedroom had no lock on the door. .... It's better that I get in the room with a lock. Jun left Ronald's room and Evelyn went with him. When he went to the other (bedroom) Ronald and Evelyn was with them. Someone closed the door. Once in Mr. Doe & Dandy's bedroom, they (Ka and Howard) arrived. Jun told them to open the door. DA: Who opened the door? DA: When Ronald or someone else opened the door, what did you see? WM: Ka and Howard. ... They both had guns from before. ... He pointed the gun at Evelyn. I believe Goldstien objects. He wants to know specifically who had the gun pointed at Evelyn. DA: When Mr. Pasasouk was in the door, did you see Mr. Pasasouk point a gun at Evelyn? Judge Giss describes what the witness does. The witness used a left and and move it out and did a striking motion. Jun saw Ka hit Evelyn with the gun on the right side of her head. When I look towards the back of the courtroom on my right, every seat is filled in the right side of the gallery with young Filipino men and women. WM: Evelyn was able to evade it a bit so it didn't hit her hard. DA: Did Mr. Pasasouk say anything at that time? WM: I don't ... I don't know what was exactly going on. ... Ka was blaming everyone. ... It's like, ah, he was looking for Christina and blaming everyone about it. DA: Did he mention shooting (threatening to?) Evelyn? WM: He mentioned that. ... He told Howard. DA: What did he tell Howard? WM: He said, "Shoot her. Shoot her." DA: Did Ka say to shoot Evelyn in order to make an example of her? WM: Yes, but he did not do it. ... The gun was pointed ... and then he hit Evelyn. ... And Evelyn was able to evade and then he left. DA: Did Mr. Pasasouk tel Howard to shoot Evelyn? DA: Howard had his gun out. Did Evelyn say anything to Mr. Pasasouk when he was threatening her? WM: Don't shoot me. Don't shoot me." ... Ka left after threatening Evelyn. DA: After he left, did you hear any voices outside? DA: Did you tell the detective when you were interviewed on January 2nd, 2013, that you heard Ka say, "Put your hands up," outside? WM: I heard that, but I don't know who exactly. DA: Did you tell detectives that it was Ka? WM: I cannot say that because I did not see it. ... I heard something like, "Raise your hands." ... It's hard to say. DA: After you heard, "Raise your hands," did you hear gunshots? DA: How many did you hear? DA: On January 2nd, do you remember telling detectives that it was Ka who said, "Put your hands up?" WM: I can't recall, but I heard it. DA: Do you recall telling the detective that, "Ka was using a really aggressive voice?" WM: That was earlier, when he was upstairs. Jun continues to backtrack on identifying the voice he heard outside as the defendants. WM: But I don't know who it was really. DA: Do you remember the detectives asking if you heard Howard's voice? WM: It's really hard to say. ... Whomever in that position would not know. DA: How do you feel about testifying today against Mr. Pasasouk? WM: What do you mean? ... Nothing. ... I feel helpful. ... The truth. Nothing more, nothing less. DA: Do you feel you know Ka's voice better then or now? Akemon them moves to another topic. DA: Have you had any issues in your life with substance abuse? WM: Yes, there are issues. DA: Please tell us about them please. ... Are you trying to get help for substance abuse? DA: Were you using drugs on December 1st? WM: Yes. I tasted it. DA: What is the drug (you were using)? WM: It's not my choice. I just tasted it. DA: Were you doing drugs with Mr. Doe? DA: What kind of drugs were you taking? WM: No, I didn't take any. Akemon asks the witness about how many times he's done drugs between the incident in 2012 and today. DA: What type of drugs did you use. Judge Giss steps in to ask a question. Judge Giss: Were you using drugs on the day of the shooting? WM: Not at that very moment. Judge Giss: Were you using drugs within the 24 hours before or after the shooting? WM: I taste it when it's there. I believe the court or the defense states the witness is not answering the question. The witness finally states he used meth. Jun continues to insist that he just "tastes" the drug. The witness is asked if he sometimes uses meth. " Jun answers, "Not now sir." DA: Have you in your life used that drug? WM: Yes sir. I tasted but I don't buy it. Akemon now confronts the witness about leaving the courthouse yesterday, when he was supposed to be the next witness called. DA: At some point yesterday did you leave (the courthouse)? ... Did you tell Detective Myers you were leaving? WM: Yes, we talked on the phone. DA: When you left the courthouse yesterday, did you do that with permission of Detective Myers or not? Jun replies that he wasn't able to come back (after lunch) and he told Detective Myers he was coming back in late. DA: Did you tell Detective Myers you didn't want to come back because you didn't want to be singled out? WM: I was hungry. ... I was just downstairs, waiting. ... I decided to leave and I thought I would come back at 1:30. WM: I said I don't want to be singled out, but I don't know what to do. ... And I was about to be late so I called him. ... Even if I did not say that I told Detective Myers I would be there. Jun explains that he was driving a bicycle. He didn't want to be singled out. Judge Giss asks a question but then withdrawals it. Akemon tries to get more answers from the witness. DA: Do you remember speaking with Detective Dan Myers? DA: When you spoke to him, were you being truthful? WM: Yes sir. .... Even now. Akemon reads back to the witness the conversation he had with Detective Myers, and the statements he made. DA: "Raise your hands." Detective Myers asked, "Raise your hands up?" Detective Myers says, "Why says that?" (And you said,) "Ah, ah, Ka of course." Detective Myers says, "Yeah." (And you said, "I assume because I didn't see." And Detective Myers said, "Don't assume." ... "Did it sound like Ka?" (And you answered,) "Yes. It sounded like Ka." DA: Did you say that? WM: But anyone could not be certain because they did not see him. DA: Did you tell Detective Myers it sounded like Ka? WM: What I heard was ... It was not a woman. It's not a big voice, or a (?) ... Something like that. DA: Did you tell Detective Myers you did not hear Howard's voice? WM: I did not hear. Direct ends and cross begins. Judge Giss humorously asks defense attorney Goldstein, something to the effect of, "Do you feel up to it?" I believe Goldstien smiles in response to the court's question. Goldstein asks why the witness is using an interpreter. Jun answers that he's using an interpreter because he doesn't speak good English. Goldstein asks if he had an interpreter when he spoke to Detective Myers. WM: But when I speak, they could understand me very well. JG: Do you remember when the Judge asked if you needed an interpreter? Jun explains he wanted an interpreter for "technical words." Goldstien notes that when Jun was interviewed by detectives, it was right after the new year. JG: Did you go out on New Years eve and do drugs? WM: No sir. ... I'm just tasting it. JG: Was that New Year's eve, you were just tasting it? WM: I can't remember it. ... It's not important. Judge Giss interrupts and directs a statement to the witness. "It's important to us your ability to remember. WM: I can't remember because ... I'm not a drug user. To me, the testimony almost becomes comical. JG: Were you using drugs that night? Judge Giss clarifies for the witness, "He's talking about the night of the shooting." WM: I just tasted it with Ronald. ... I saw drugs there, so I tasted it. JG: Were you drinking alcohol? WM: No, just playing cards. JG: What about Evelyn? Was she doing drugs? WM: I didn't see exactly. JG: Was there a bottle of alcohol in the living room? WM: I didn't see anything. JG: Was there any alcohol? WM: Maybe there was but I didn't see it. JG: So you didn't see alcohol in the whole apartment that night? WM: Maybe there was but I don't remember. ... I don't drink. Jun states that he had just one interview with the detectives and that he understood the questions. Cross is finished and there is no redirect. Akemon and Goldstein exchange a few friendly words and Goldstein smiles. King is an LAPD detective with the Robbery Homicide unit. He's been with the department since 1993. He was one of the investigating officers who assisted in this case. King has been investigating homicides since March 2001. King went to the crime scene. He was tasked to search a certain bedroom. The bedroom was on the first floor to the right of the front door. The front bedroom window was being used to enter and leave the room. That was one way into the room. King searched a hamper in the bedroom. He dumped the clothing out and then when through every item piece by piece. He discovered a live cartridge, an unexpended round. DA: Do you remember what caliber? King told a criminalist at the scene, Bethany Streiffert. Streiffert photographed the item and collected it. JK: She told me she placed it in a coin envelope and then that envelope went into an evidence envelope. The item was item number 98 The case number was12-17-21117. King observed that the closet had two full length mirrors for doors. Written on the mirror with something red was "Ka call Tarzana treatment" with a phone number with a 310 prefix. There were male pants, a tan color pair of male jeans located in the hamper. DA: Located in the hamper where the bullet was located? King became aware that items were collected outside. He became aware that cartridge casings were collected from around the bodies. The lead criminalist, Mandel Medina, told King while processing the scene he collected four casings and booked them into evidence. These were evidence items numbered 116, 117, 118 and 119. It's clarified for the record that Kings testimony about the criminalist's actions are coming in under Prop. 115. Judge Giss states, "The court will take note." JG: Are you sure the phone number was a 310 prefix? JK: I'm not sure. I'd have to double check to be specific. King is asked to give the case number again, the LAPD "DR" number. The detective rattles off the number. He's then asked to explain the breakdown of the number and what it signifies. The first two digits are the calendar year. The second two digits explain the geographical division that responded to the investigation. The last five numbers are the next number that are assigned by the units (receiving?) unit. King is asked to give a further explanation as to how those last five digits are assigned. A data base assigns that part of the case number. Detective King states he arrived at the crime scene at 19:30 PM, also known as 7:30 PM. Cross ends. Judge Giss brings up that Pasasouk's other charge/case before Judge Silver trails this case. DDA Akemon redirects his witness. The witness clarifies that when he was asked the DR number by Mr. Goldstein, he was one number off. He is allowed to refresh his memory and look at his notes/file. King looks at the property report. The case number is 12-17-21118. That's it for redirect and the witness is excused.